I was told about this ramen joint from one of my best friends. He was raving about how this may be his new favorite ramen joint, which surprised me since, prior to this, I barely ever heard a buzz about it. Being the curious fatso, we quickly wrangled a few of my coworkers to eat here. There I was, waiting in front of Himawari with the usual two nincompoops I eat with and our CEO. Not awkward at all, but I was hoping to impress the big man with my knowledge of the area. All I had was a crack at the Bay Watch restaurant across the street and a mention of the Melting Pot (which his friend owns). So, just a note to everyone (in case it wasn’t clear), my attempts at being impressive were failures. Anyways, the wait took about 20 minutes before we were able to get a table for 4 at around noon. I ordered the Deluxe Miso Ramen. It had all the regular fixings like charsiu, bamboo shoots, seaweed, and bean sprouts, but the Deluxe meant it came with Stewed Pork and a soft-boiled egg. 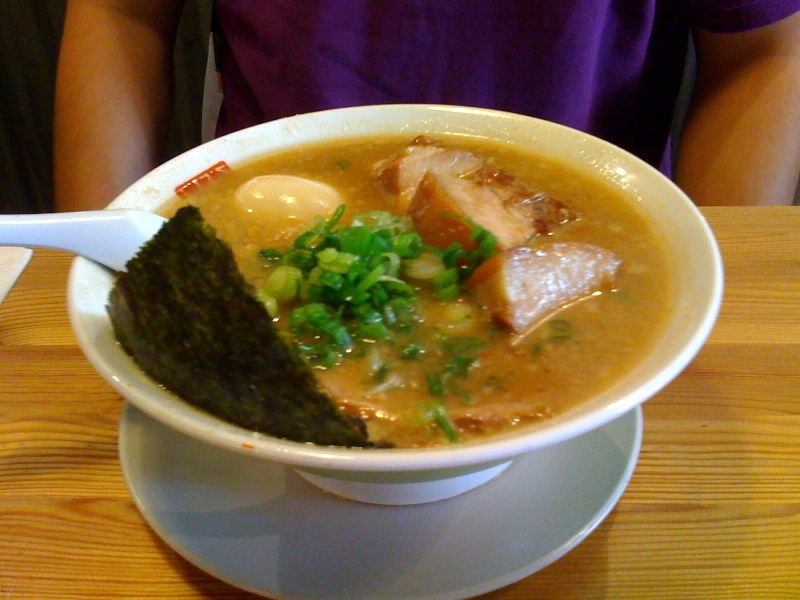 I found the Stewed Pork to not be as flavorful as Santa Ramen, but it also wasn’t as fatty. The soft-boiled egg was delightful and the middle was still runny. The broth itself was pretty fatty. You could see the fat floating around the top, which made for an unappetizing sight. However, the flavor was awesome since it was so rich. The people that were here for lunch were mostly professionals and families. People ranged from wearing shorts and t-shirts to full on suits. The line can get pretty long, since there are only about 10-12 tables for 2-4 people. I definitely would recommend calling ahead if you bring a large group.